It’s time once again for our Weekly Best Sellers! Be sure to check in each Friday to see our five biggest titles. Purchase the book at the retailers below! 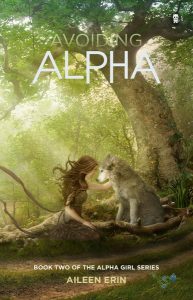 Meredith Molloney never thought she’d find a mate, let alone someone like Donovan Murry—one of the most powerful Alpha werewolves alive. 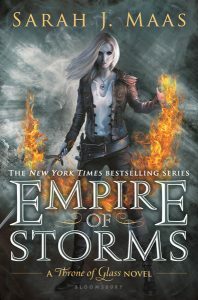 Now that she’s no longer cursed and the evil Luciana Alvarez has been taken care of, she thinks life will finally settle down. Boy, she has never been so wrong. In the middle of the night, Donovan gets a call telling him that his pack has gone to pieces. The news that his second in command has been found brutally murdered has Donovan packing his bags for Ireland, but the last thing Meredith wants to do is go with him. Cosette just warned her that the Irish pack isn’t so happy about Donovan’s choice in mates. But Meredith’s never let a few angry wolves stop her, and she’s not about to start now. She’s faced down much worse the past few months. 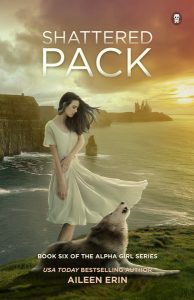 But when she gets there, she finds that it’s not just an angry pack that stands in the way between her and her Full Moon Ceremony with Donovan. 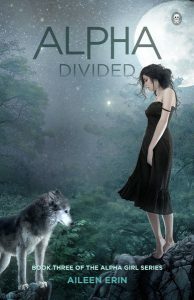 Meredith is thrust into a deadly game of pack politics, one a fey beast has happily joined. When the magic and dust settle, she knows she’ll either have everything that she wants or lose it all. Regarded in NFL circles as one of the nation’s leading independent draft analysts, spending thousands of hours evaluating talent each season, Nolan Nawrocki’s vast network of contacts allows him to gather intelligence regarding NFL prospects that is unparalleled in the industry. 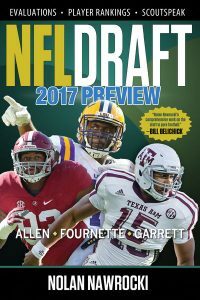 His annual book contains in-depth information on some 350 players eligible for the draft, with the history, strengths, and weaknesses of each player clearly documented. Nawrocki also quotes other scouts on their opinions of individual players and gives probable draft rounds in which they will be drafted and even some teams they would fit best. He ranks the top ten players at each position on both offense and defense and gives the latest measurables available from both the Combine and individual pro days. Nawrocki led Pro Football Weekly’s draft coverage from 2003 to 2013, then independently took over the writing and research on this book in the grand tradition of the iconic football analyst Joel Buchsbaum.